No washing machine? No stress! Wash your clothes by hand and reap many great benefits! We live in times where hand-washing clothes almost seems absurd. It's almost as if everyone owns a washing machine and those who don't would rather take their clothes to a laundromat than hand-wash it themselves. While washing machines come with the advantage of convenience and saving you time so you can focus on doing other things, they do have their drawbacks. One of the first things is that washing machines are not necessarily cheap. You are looking at spending a couple of thousand Rands if you want a good washing machine. And while they aren't cheap, they also don't last forever. You may find yourself having to repair or buy a new washing machine a few years down the line. Another disadvantage is that washing machines can also take up space in your house. This can be a problem, especially if you have a small house and don't have a laundry room. So with that in mind, why not consider washing your clothes by hand? There are many great benefits. According to Mybroadband's electricity usage chart, a typical household uses 2.3kwh on a washing machine and 3.3kWh on a tumbler dryer. Electricity costs about R1.24 per kilowatt per hour, so you are looking at saving a couple of hundred Rands if you hand-wash your clothes. The money that you save on electricity can go a long way in helping you pay for other household expenses. Some clothes get ruined when washed in the machine, especially delicate ones. This does not happen with hand washing. Washing machines often require more water than a normal tub. With water shortages being an issue in our country at the moment, we all need to look at ways in which we can preserve this precious liquid. So this is one of the things you can do to play your part in preserving water. Saving water will also reduce your water bill. More money in your pocket! 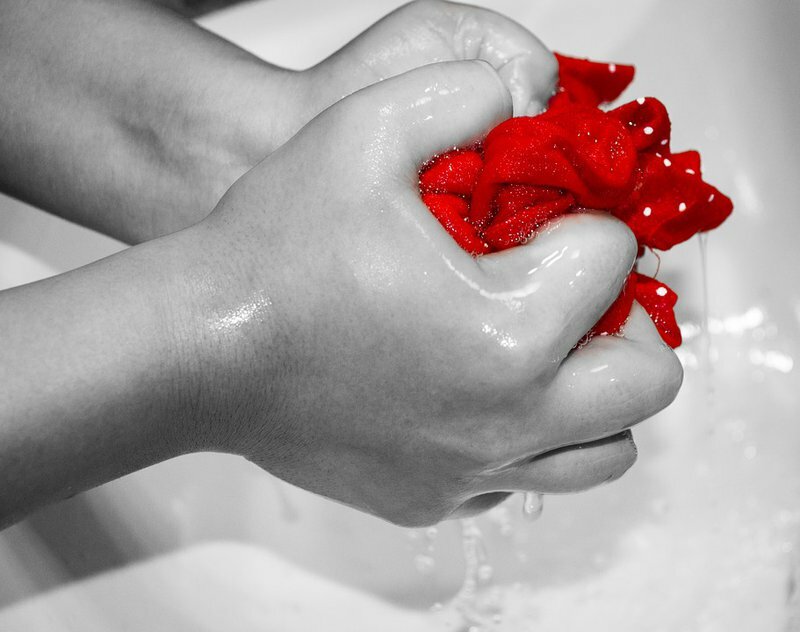 If you are looking at shedding some weight, or just getting fit, hand-washing your clothes is a great way to exercise. Do it once or twice a week and you may find yourself not even needing that gym membership anymore. That's even more money saved!